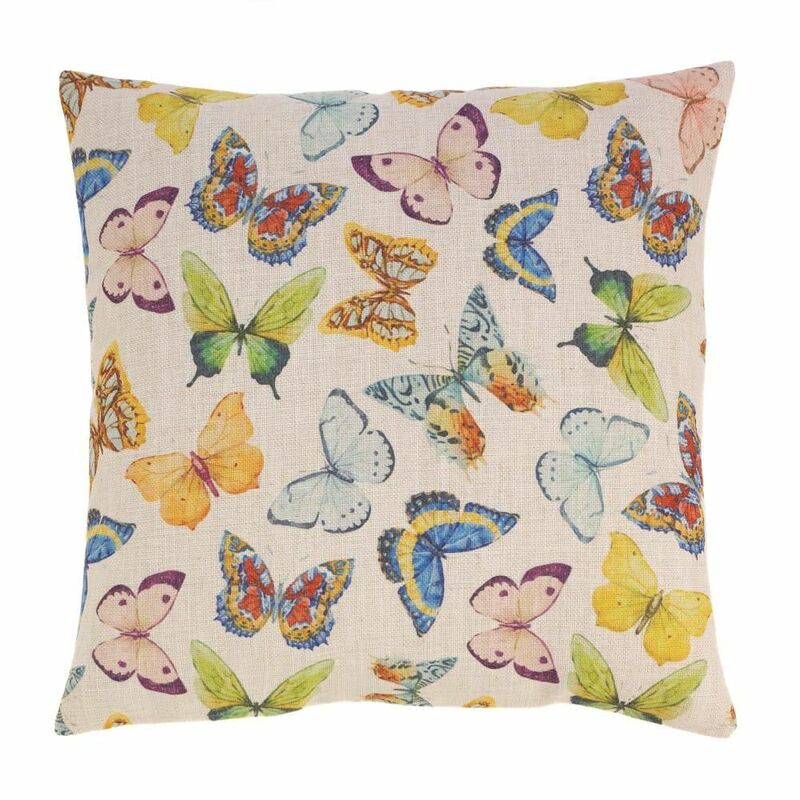 Bright Butterflies Decorative Polyester Throw Pillow 17 x 17. 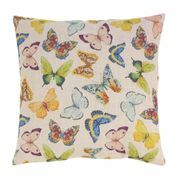 A flurry of butterflies in vibrant colors capture the grace and beauty of the butterfly. A perfect accent to decorate your living room, bedroom or office. A full spectrum of bright colors make this pillow especially versatile for any room in your home. Playful and fun for a children's room. Zippered cover for easy removal and cleaning. Machine wash cold. Do not bleach. Do not tumble dry. Iron low heat.